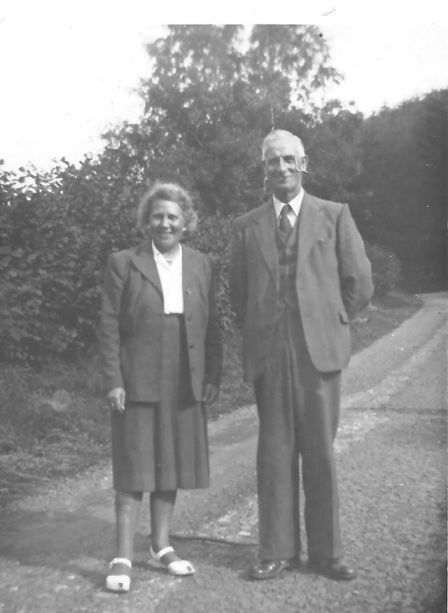 Picture one shows Mr & Mrs William (Bill) Meredith at their retirement home in Kent. Bill was the postman at Cotteridge Post Sorting Office from around 1938 until 1950. His walk (postal speak for round) was from Pershore Road South to the Breedon Cross, including some of the side roads. He had two fingers missing from one of his hands as a result of wounding during WW1. He finished his enlistment with rank of Seargent. 2.He served with 1st Battalion Grenadier Guards during WW1 and was awarded the Albert Medal (very rare and now replaced by the George Cross) in that war. During WW2 he served in the Home Guard based at GKN Breedon Hill with rank of Warrant Officer. 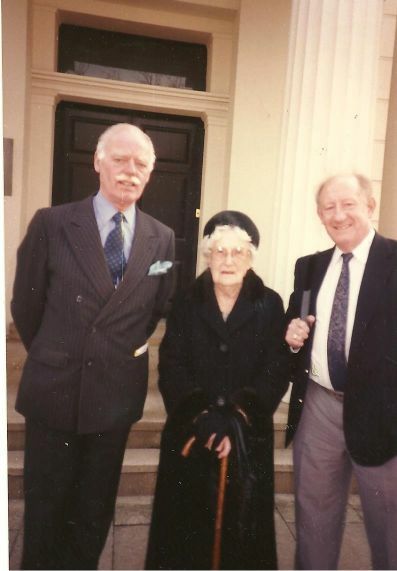 Picture two shows Bills widow, with nephew on right, at Chelsea Barracks in 1998 having donated the medal to the Brigade of Guards Museum. Director on left.